In May 2018 we recorded the 100th episode of The Bakery Bears podcast. To celebrate that, and to thank everyone for their kindness and friendship over the past 4 years, I designed this cute bookmark which is free to you all ! 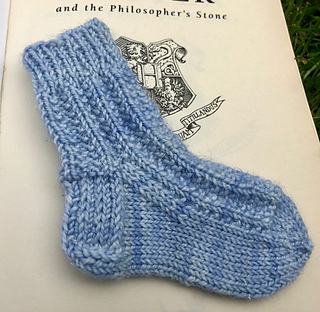 It was inspired by Bryony’s love of reading, and my passion for sock knitting. 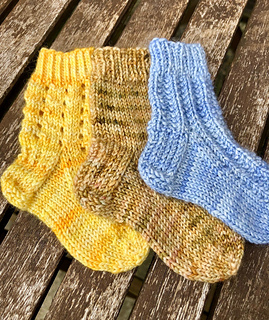 It knits up in a flash, and is such a fun way of using up those sock project leftovers. 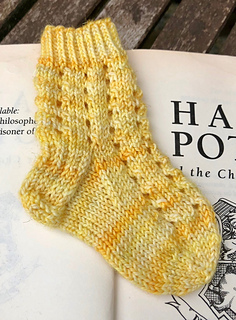 The pattern has instructions for a plain stocking stitch sock, along with a lace and textured option. If would also make the most wonderful sock advent calendar. 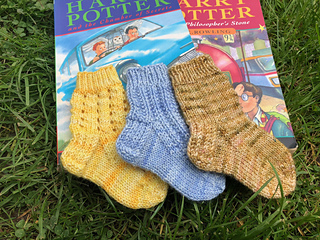 You could knit 24 throughout the year, and then fill each one with a little something special for the festive season. 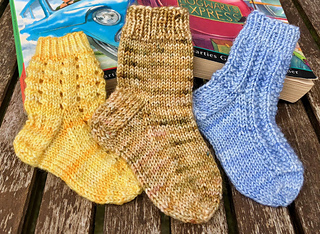 I hope you all enjoy knitting your tiny socks !